Pipelines, The Fight That No One Will Win. Kinder Morgan, Trans Mountain, Northern Gateway, Keystone XL, all across North America these projects spark a lot of controversy. People are divided when it comes to support for oil pipeline projects. I’m going to tell you why everyone is right, and everyone is wrong. Both projects deliver bitumen, a horribly dirty version of “oil” produced in Alberta’s infamous Tar Sands, to ports where they can be shipped abroad or to refineries where they will be processed into usable oil and gasoline. Alberta’s Tar Sands are a horrendous thing causing irreparable damage to the Athabasca Watershed, not to mention the insane amount of energy it takes to produce bitumen from tar sands. The scale of the Tar Sands in unfathomable to anyone who’s never seen them in person. They use more energy than most large North American cities and belch out pollution faster than anything in human history. The Keystone XL pipeline will run through the USA (mostly) and there’s very little any Canadian can do about it. The only ones who could stop it would be Alberta and we all know that isn’t happening until they can’t afford to gas up their Hummers any more. 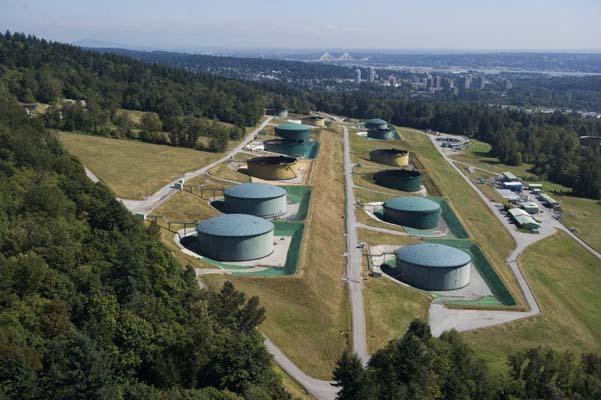 The Trans Mountain Pipeline, which runs from Edmonton to Burnaby, is a pretty controversial thing around the GVRD. Kinder Morgan, who operates the pipeline, wants to run a second pipeline along side the original. I’m here to tell you that it can’t be stopped. As long as Asia is growing they will have a need for Canadian oil. BC occupies the west coast of Canada so unfortunately that oil will be loaded on ships on our coast. The Canadian Government has morphed into an aggressive Petro State and as long as the oil flows and the cash keeps pouring in that will not change. The alternative to pipelines are trains and trucks, both vastly more dangerous and prone to accidents than pipelines. This is, sadly, a case of the lessor of 3 evils. Until the world can shed its dependency on fossil fuels and make wind/solar/clean energy a viable option we have to take steps to limit damage caused by the use/transport of fossil fuels. 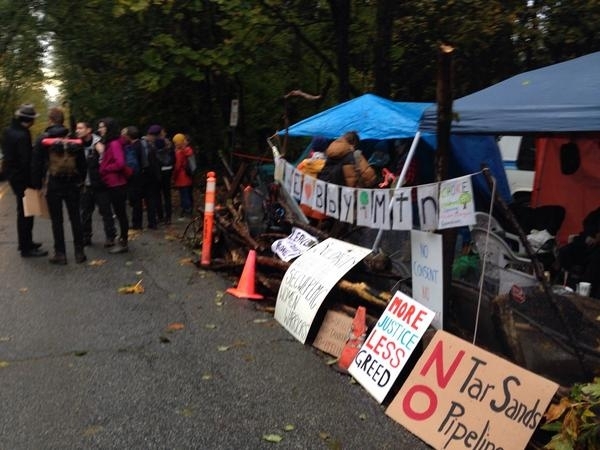 I applaud everyone who is up on Burnaby Mountain standing up for what they believe in. I feel the same way as you do, until I remember that I’m typing this on a plastic keyboard (oil), which was transported by ship, train and truck (oil), and you’re probably reading it on your smartphone made in Asia which is powered by the fossil fuels you are fighting against. The tarps and polyester twine keeping the protesters dry, their plastic chairs, plastic signs, clothing, all made from the very thing they are protesting. Kinder Morgan and the Trans Mountain Pipeline aren’t the problem. We are the problem.